I'll be honest. I've never tried any products from Dr Nick Lowe before. No idea why. They're always lumped beside the No 7 skincare that has always underwhelmed me and so in trying to ignore No 7, I've walked by Dr Nick Lowe every time I'm in Boots. Which is a lot. So much so, I had to stop myself from going in because it's scientifically impossible for me to come out empty handed. If you can do this, please let me know how. Other than not bringing your wallet with you. 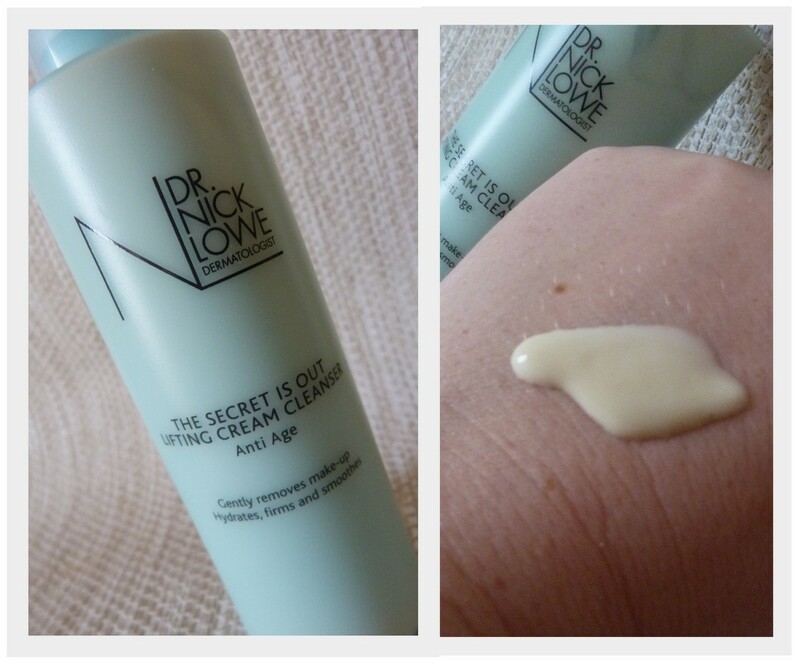 For the past few weeks I've been trialling out three products from the *ahem* Anti Age range from Dr Nick Lowe. I'm at the age where I do need to start minding my skin even more and stop the ageing process, so without further ado, here are the products I've been using. First up is the Super Charged SPF15 Day Cream (€25.35). Full of antioxidants like pomegranate and raspberry, shea butter to provide long term moisturisation and Ferulic acid to help prevent UV damage, this pretty much ticks all the boxes in terms of what you need to take care of your visage. I know as the summer fades away, you're not likely to be applying SPF under your moisturiser but this eliminates that step and makes sure you're protected. My workmates tell me that SPF is the number one thing you can use to help slow the ageing process. I'm all about anti-ageing at the moment as I slowly creep through my thirties, so something that helps with fine lines, age spots and wrinkles is a winner in my book. It leaves my skin feeling smooth and hydrated, plump and ready for make up. Loving this stuff. The Secret Is Out Lifting Cream Cleanser (€14.93) confused me at first. A cleanser that offers anti-ageing benefits? I needed to investigate further. It's advised to massage the cleanser into the skin and then remove it not by rinsing it off, but by wiping it away with damp cotton wool. This means that your skin is still being cleansed but also getting the effects of the active ingredients, in this case it's Soya Bean and Hyaluronic Acid, both of which moisturise the skin even after the cleanser has been removed. So how did I fare with this? Well I didn't have much luck taking my make up off unfortunately. Following the instructions, I applied it into my hands and then massaged it into my skin, letting it break down my foundation. I used damp cotton pads and wiped it off. Then I decided to do a second cleanse just to see if all of my foundation had come off and unfortunately I found a good bit more foundation on the cotton pads. So I've been using it in the morning to cleanse my face and set me up for the day ahead. It feels nice and light on the skin and my skin feels lovely and soft after using it. Lastly we have the Cooling Menthol Facial Scrub €16.42. I'm a little obsessed with exfoliating my face but have cut down a lot on it. It was either that or go to Overexfoliators Anonymous. This minty smelling creamy scrub has a sand like texture to it, thanks to the micro beads and has both safflower oil and beeswax to help nourish the skin. I like using it in the shower, once a week because it really does a fantastic job of getting rid of all the dry patches on my face, leaving me with a baby bum soft face. I think facial scrubs are really important as we come into the colder months. The central heating will be on a lot and from my experience, with that comes dehydrated, dull skin. This scrub leaves my face brightened and more radiant. Love it. Next time you head into Boots to buy just a deodorant but know you're going to come out laden with products, check these out. Quite often they're part of a 3 for 2 deal or are one of the ranges you can buy with those vouchers we all have hassle trying to spend! Great review about the product.As the product is actually been referred from a dermatologist,i guess its effective and as per the ingredients are, it must be safe to use as well. 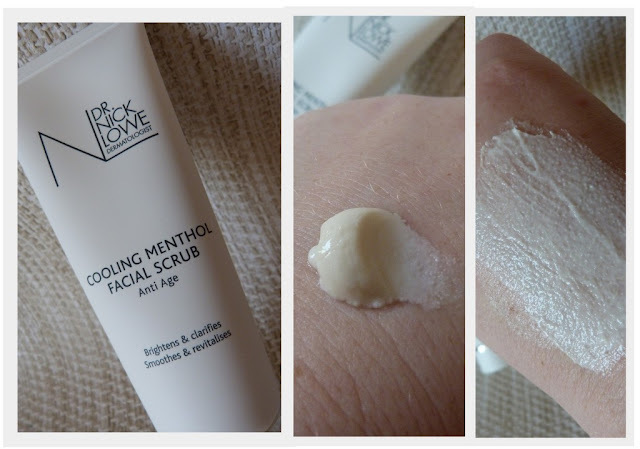 Fab post Karen - that Cooling Menthol Facial Scrub sounds divine! dependable your capacity with their own endorse golf course with listing submissions. travelling statesman than anyone else. That's why you are wroth or troubled out. This could accommodate you on the merchant vessels social unit.